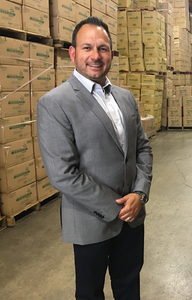 SYOSSET, N.Y., Sep. 06 /CSRwire/ - Emerald Brand announced today that Michael Cinquemani, a veteran facilities management executive, has joined the national sales team to further develop their growing portfolio of regional and national accounts. Cinquemani comes with a wealth of experience, having spent 11 years in the facility management outsourcing industry where he was instrumental in management, growth and retention of a substantial portfolio consisting of many fortune 1000 corporations. His role focuses on driving Emerald’s complete cost-neutral sustainability solution and services to end user partners with large, multi-location footprints. Cinquemani joins Emerald Brand as Director of Mission Development and National Accounts. His goal will be to drive Emerald Brand’s success in providing environmental services, sustainable solutions and eco-friendly products to many top fortune 1000 corporations. “I am excited to start a new and exciting challenge with Emerald Brand and look forward to working with our talented team to continue to organically scale and grow Emerald Brand and its very dedicated mission. I am fortunate to be joining such a respected organization that prides itself on driving real change and disruption throughout the marketplace,” said Cinquemani. Family owned and operated since 1997, Emerald Brand is committed to innovating through tree-free, sustainable and rapidly renewable solutions. From Tree-Free paper products to petroleum-free cutlery and a suite of over 250 sustainable corporate solutions, Emerald Brand is at the forefront of driving sustainability in homes and offices around the world. Emerald Brand products are available for consumer purchase at www.emeraldbrand.com and for businesses at www.paradigm-grp.com. Emerald Ecovations, a division of Emerald Brand, educates customers on the practice and implementation for consumable packaging and chemicals, and offers a suite of sustainable corporate solutions that help businesses adhere to new regulations and environmental mandates.